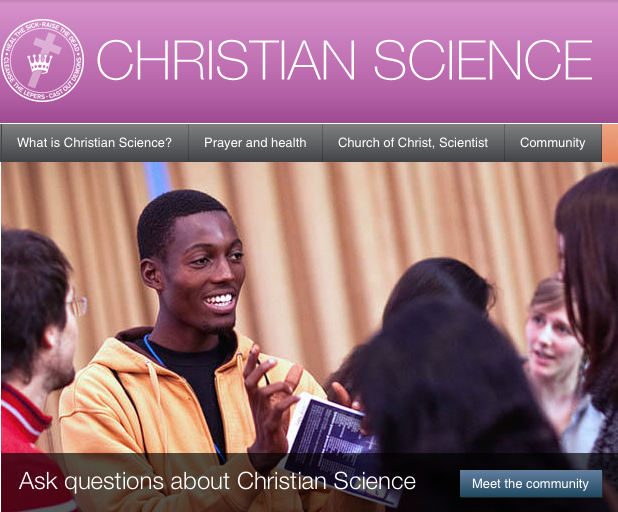 Read the Christian Science textbook—Science and Health with Key to the Scriptures—at your local Reading Room or on the Read-Online webpage (you can listen to it, too). Or order your own book. 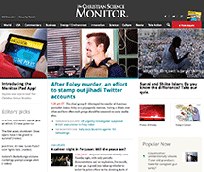 Subscribe to the Christian Science periodicals at JSH-Online: Christian Science Sentinel (weekly); The Christian Science Journal (monthly); The Herald of Christian Science (monthly in French, German, Portuguese, and Spanish; plus ten other languages online). Go to a public lecture sponsored by a local church. See listings in the Events tab on this website or phone (212) 986-5126. Watch a lecture/talk on YouTube. Study the weekly Bible Lesson published in the Christian Science Quarterly. Find it at a reading room or access the digital version at eBibleLesson. Or try the kid-friendly version, myBibleLesson, that features notes, maps. . .even cartoons. Attend a Christian Science church service in your vicinity. There are testimony meetings on Wednesday nights where everyone is welcome to share healings big and small. To find a church near you, use the listings on this website or the church directory. Tune in to Spanish Radio program: El Heraldo de la Ciencia Cristiana (en Español), los sábados a 9:00 am en WADO 1280 AM Radio. Listen to (or download) a podcast from CSPS Internet Radio. Seek the help of a Christian Science practitioner—someone dedicated to healing others 24/7. You can look one up in the The Christian Science Journal directory. 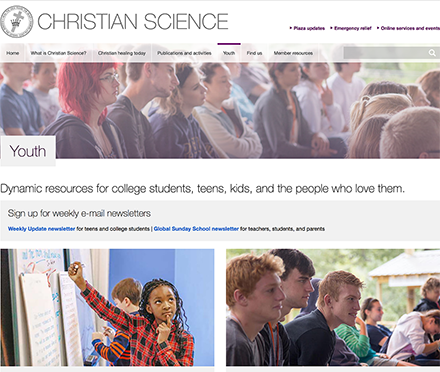 Check out ChristianScienceYouth a web page devoted to exploring spirituality for the young at heart. Find a golden-oldie Christian Science lecture to listen to on your iPod at www.christiansciencect.org/lectures. Visit ChristianScience.com for lots, lots more. . . 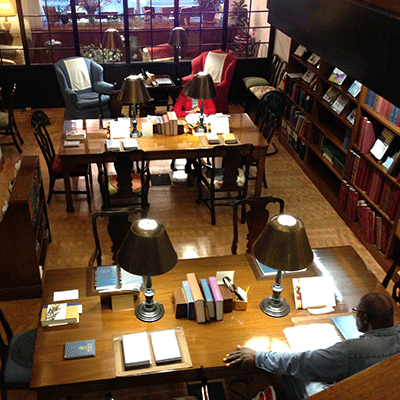 If you need information not listed, telephone the Tri-State Jointly-Maintained Christian Science Reading Room at (212) 587-9530 or send us an e-mail.